I have always enjoyed getting my Paper Pumpkin kit in the mail. I love that everything I need to create cute projects comes in one little box, and every month is something different. 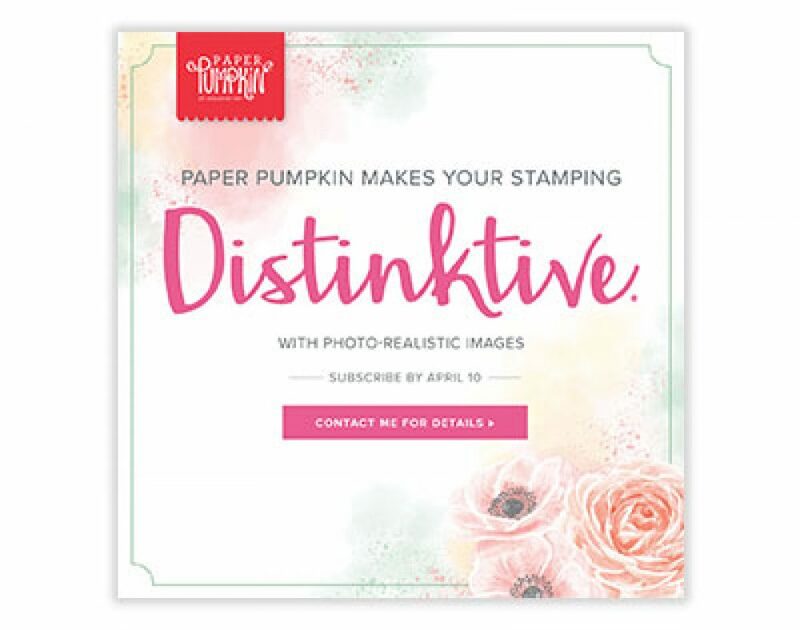 Right now, with Sale-a-bration in full swing, Paper Pumpkin subscriptions can earn free merchandise out of the catalog…3, 6, and 12 month prepaid subscriptions all qualify for Sale-bration merchandise!! Prepay for a 3-month subscription, and you can earn the Beautiful Peacock stamp set! Or one of a number of other items from the catalog! Not sure what Paper Pumpkin is all about? Watch a quick 90 second YouTube video to find out why I love my monthly shipment! Once you’ve finished watching, head on over to the Paper Pumpkin link on my website to join in on all the monthly fun, and earn your Sale-a-bration goodies, too!